YOUR WISH IS YOUR NEXT WINDOW. 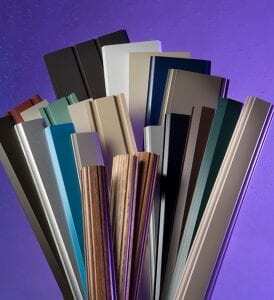 Your unlimited freedom of choice starts with our huge array of muntin bar profiles and colors. Above and beyond this, we can efficiently custom-make any profile in any color you want. This explains why we can match any window that exists, no matter how old, rare, or unusual – a boon to beauty, pride, architectural integrity, and resale value. What’s more, whether you’re an architect, contractor, distributor, or manufacturer in North Carolina, we can also create window grilles that, until now, has only existed in your mind. Use our catalogs as thought-starters. Sample our endless possibilities. Then dream big, sketch freely, and prepare for the genuine delight of CGP Simulated Divided Lights.